FLAMM FAM: Happy Birthday Millie! Today is your 8th birthday. We missed you more than ever today, but we made it through the day by spending time with our family, attending Jager's baptism, taking Austin to see Cloudy With a Chance of Meatballs 2 (which you would have really enjoyed - your laugh would have filled the theater! ), being showered with gestures of love by friends, family, and neighbors, and feeling you close by us during this special day. They say that time heals all wounds. I hope this is true. We made it through the first month or two smoother than I would have expected. We felt comforted during your transition and that comfort made us feel like everything would be OK. As time moves on and your bedroom sits empty we miss you more with each passing day. Your mom and I constantly say to each other, "Millie would have loved this." It is a conflicting feeling to have fun with Austin and enjoy the moment, while at the same time wishing that you were sharing it with us. The interesting thing that we are realizing is that you loved just about everything. You loved life, and your time battling cancer made you appreciate anything good that happened and you enjoyed the small things more than anyone I have ever met. I know you would have loved to be there for all the things we did today, but I know that your mission on this earth has been completed and I know you and know that you are enjoying whatever you are doing. I only wish that I could see the wonderful things that you are up to. I know you are proud of your brother. He has started school and he loves it. Mom has convinced him that he should be a gentleman and he is always very proud to hold doors open for people. He misses you so much. He spends an hour or so every day watching the video that Pat made for the funeral. It doesn't make him sad. He smiles and laughs as he sees all your pictures, and gets a little embarrassed by the pictures of you dressing him up like a fairy or princess when he was younger. I wish I had more time with you, but I am so grateful for the time I had. I'm grateful that you lived a happy life for three and a half years after your original diagnosis. We made so many amazing memories during that time, and it was thanks to an amazing medical team at Primary Children's Medical Center, as well as the fantastic team that took care of you at the Children's Hospital of Colorado, as well as the encouragement and advice we received from the team at MD Anderson. We wanted your birthday to be a celebration of your legacy, not a day of mourning, and it was. You always chose to be happy, and we do our best to make that same decision every day. That was lovely Brady. You are such a good dad. I hope you and Amanda had a nice celebration of Millie's life day yesterday. Happy Birthday Miss Millie! I know you are celebrating with the angels! Godspeed. Continuing to pray for your precious family..
Hi Amanda, First of all I am very sorry for your loss. But what I would like to point out to you is that there is a very sick twisted person out there who is using your blog/ stories and pictures of Millie as her own. Here is her blog. http://stevenskids.wordpress.com/2012/12/07/wensen-komen-uit/ I think you should report this to law enforcement. Millie is a cutie!! Happy birtgday princess!! Hi, you used to compose heavenly, yet the last couple of posts have been kinda exhausting! KI miss your super works. Past couple of posts are only a tad out of track! Go ahead! 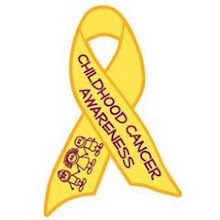 Help Them Grow Old, WEAR GOLD!